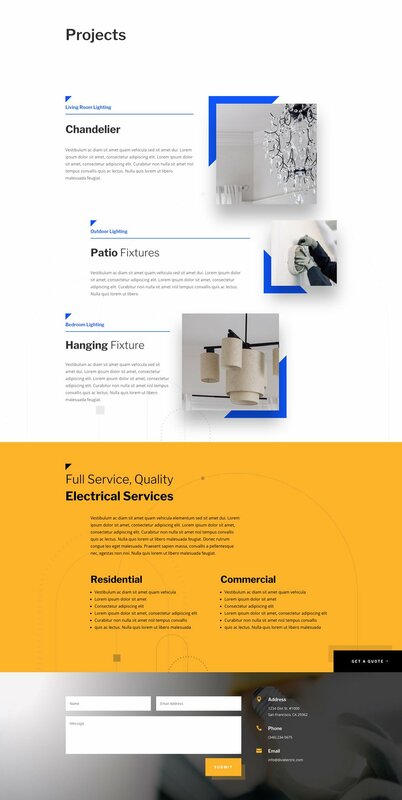 For the first layout this week, our design team has created an outstanding Electrician Layout Pack. 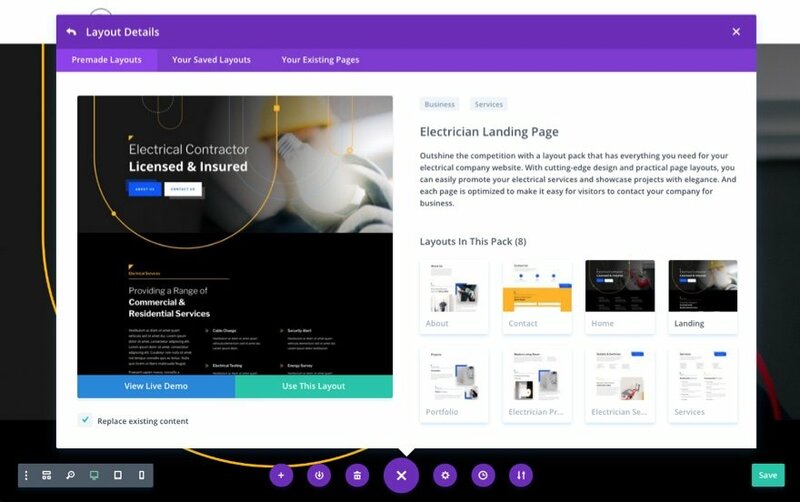 This layout pack has everything you need to outshine the competition with a brand new website for your electrical company. 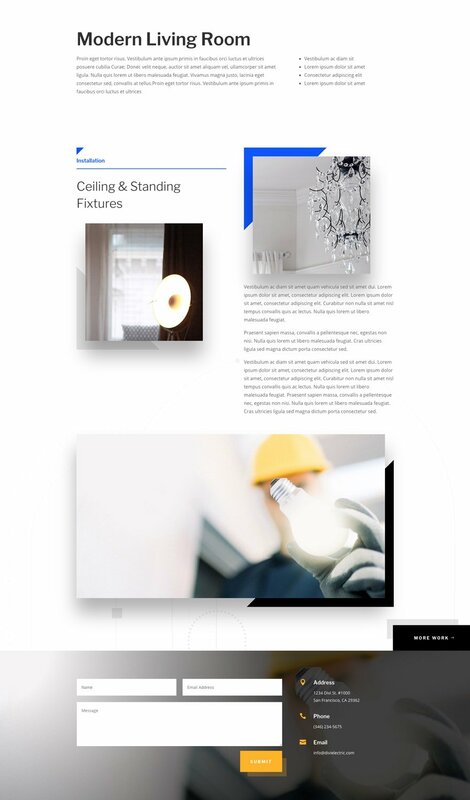 With cutting-edge design and practical page layouts, you can easily promote your electrical services and showcase projects with elegance. And each page is optimized to make it easy for visitors to contact your company for business. 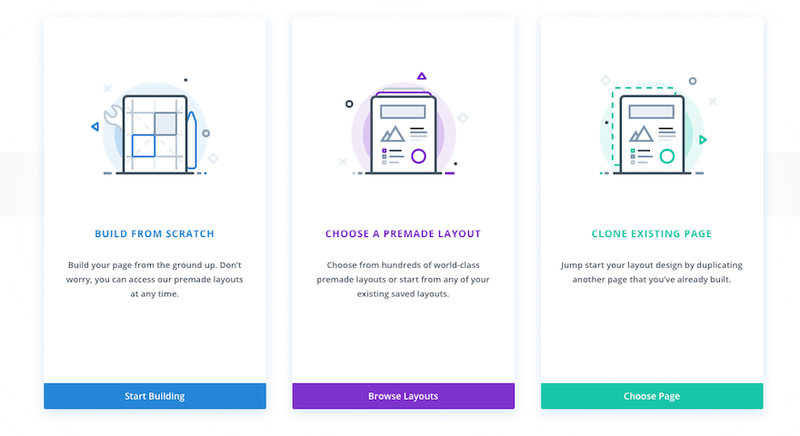 You are sure to love the way this layout displays images with creative frame designs and shadows. 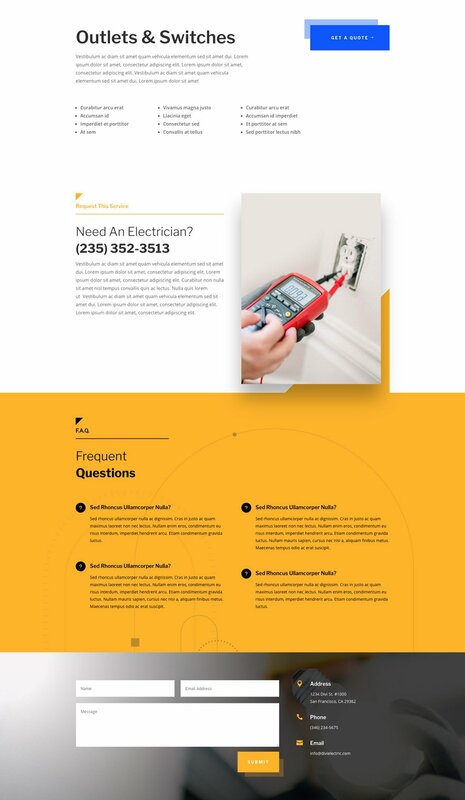 And the larger background images are quite unique in the way they fit the electrical industry niche. 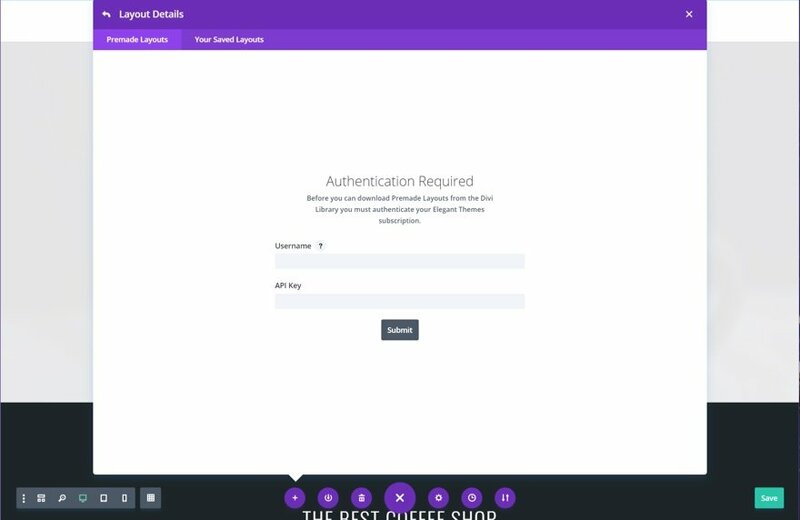 In addition to the services page and service page, the pack also has a project page that will be very useful for featuring company case studies. 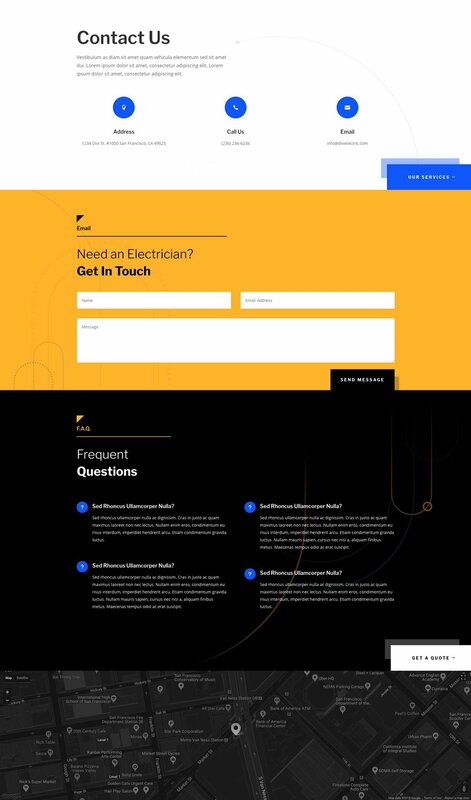 The post Get a FREE Electrician Layout Pack for Divi appeared first on Elegant Themes Blog.